Every year, thousands of technology professionals flock to CEATEC, Japan’s answer to the Consumer Electronics Show. It’s the place to debut new technologies and gadgets, network, and get a feel for where the industry is headed. 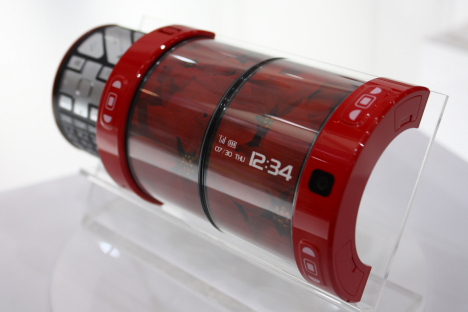 In 2009, Fujitsu came with a bag full of futuristic cell phone concepts. They put out an open call for submissions in May, and by the time the show rolled around they’d accumulated more than 2000 entries. 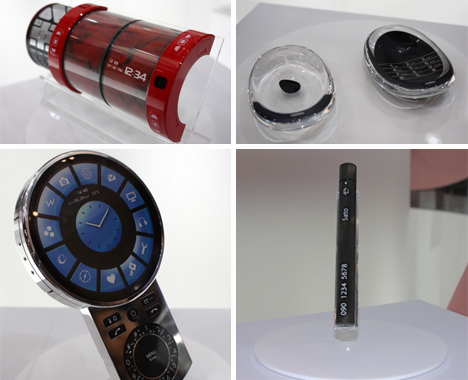 The parameters were seemingly simple: come up with a phone that’s either practical or futuristic. These are some of the big winners. 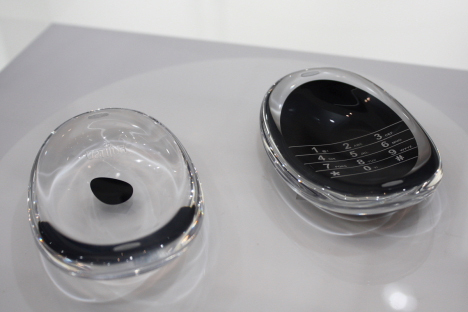 First place went to a phone called Gesture from South Korean design student Jin-Gwon Go. The phone was designed to be used with just one hand and many commands can be carried out with just gestures, hence the name. Though it may not look particularly futuristic, it does look like the most user-friendly among the winners. 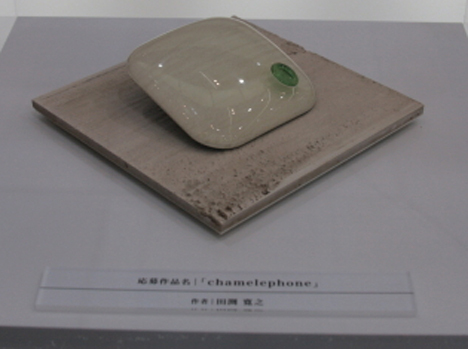 Second place was this phone for kids, designed by Yan and called Soap. The idea of the phone was to promote the belief that cleanliness and health are intimately connected. It’s washable and designed to be washed when everyone returns home. The Fold-a-Phone from designers Hanna Sahlen and Sachiko Munakata does just what the name implies: it folds up. It’s made of a super-thin material that allows it to be folded down to a small size to be carried in a pocket or purse. 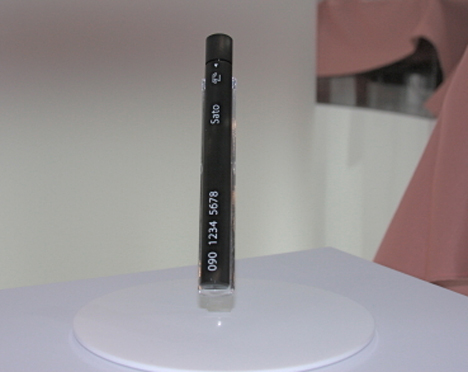 The Adjustick from Izumi Tanaka won a special judge’s award, and it seems to be well deserved. This tiny little stick of a phone is very minimalistic, displaying only what is necessary. But when you lie it on its side, it projects a usable keyboard and screen so you can text in comfort. The Chamelephone from Hiroyuki Tabuchi is one of our favorites, but it definitely falls into the “futuristic” category rather than “practical.” It’s designed to mimic the color and texture of whatever surface it’s placed on. We can’t find our phones now – this would make it utterly hopeless. 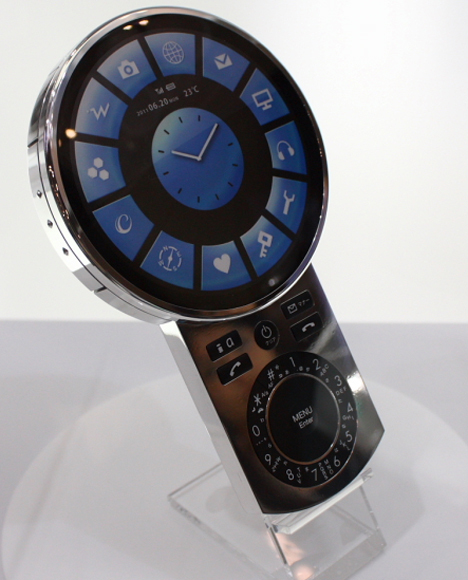 The F-Circle was a crowd favorite because of its crazy retro-futuristic look. The designer, Yuji Ito, says that it’s a “timeless” design. We don’t know about timeless, but it is certainly different than every other cell phone on the market. 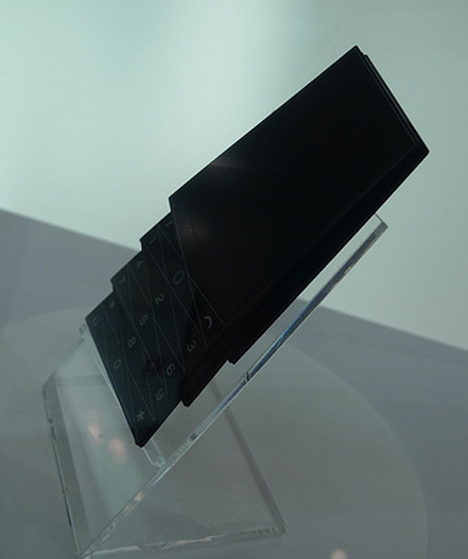 Wataru Igarushi designed the KAORA (Tile) phone. It’s another that is miles away from conventional cell phones, but its design is well thought-out. It is meant to be one of the most user-friendly phones ever, with a customizable configuration that you can change depending on what functions you need the phone to perform. 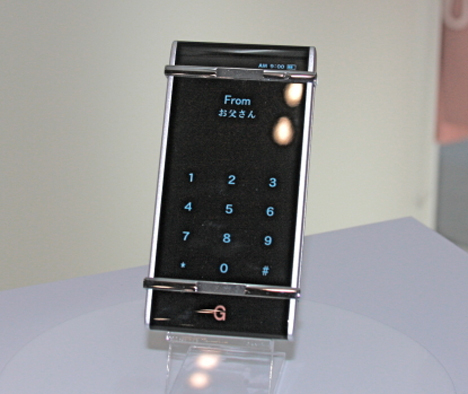 The Amoeba Phone from Kwak Yeon takes the prize from us, even though it didn’t take honors from the judges. 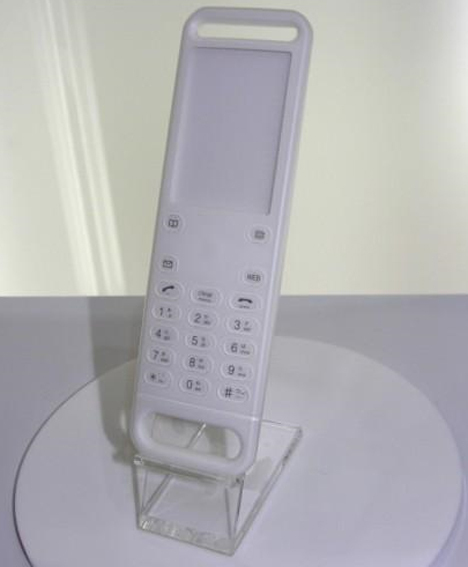 The entire surface is touchscreen-operated and the shape of the handset is meant to fit perfectly to the user’s face. It’s beautiful, but again we think we’d have troubles finding it in the morning. See more in Phones & Mobile or under Gadgets. November, 2009.